MOSCOW (Sputnik) - An offensive on Yemen's Al Hodeidah governorate and port city by armed groups loyal to President Abd Rabbuh Mansour Hadi will be a disaster for the whole of Yemen and will hamper the political settlement in the country, the Russian Foreign Ministry said in a statement on Thursday. According to the ministry, the clashes in the area will cut off supply channels for medicines and other essentials, which will endanger the lives of civilians. "All this confirms our initial misgivings that the offensive on Al Hodeidah threatens to result in catastrophic consequences for the whole of Yemen. We deeply regret that UN Special Envoy for Yemen Martin Griffiths was not provided with the additional time he was requesting to prevent the implementation of such a scenario," the statement read. The ministry added that the ongoing offensive would significantly damage "the prospects for a political settlement of the Yemen crisis." 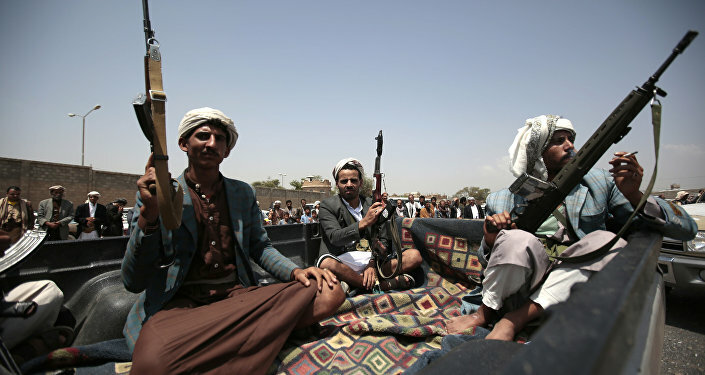 Pro-government forces, backed by Saudi-led coalition airstrikes, launched an offensive to seize Al Hodeidah from the rebel Houthi movement after the latter failed to respond to the government's offer to withdraw from the port city in order to peacefully resolve the conflict.